The free terminal transfer bus service operates between 5.00am and 10.45pm every day. Two buses operate between 5am and 9.00pm. 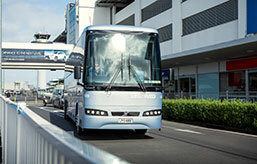 A 24-hour, 7 day service operating from the Auckland Airport carpark at Verissimo Road. There are separate scheduled services for the Domestic and International terminals. 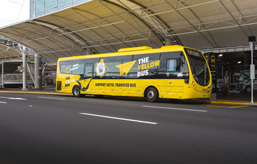 The Yellow Bus is a 24-hour daily service operating between the service’s partner hotels, rental vehicle depots and Auckland Airport terminals. Hybrid Electric vehicles operate on this service. As Bus Travel NZ is part of the Leopard Group, Leopard Coachlines offers a wide range of options for group travellers wanting to explore New Zealand. Leopard caters to inbound tour companies, corporate clients and education groups. 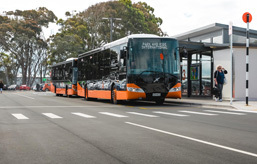 Why is Bus Travel NZ so different to other bus service companies? Well, we could say it is because we are experts at what we do and we really care about every passenger we carry, and that is absolutely true, but we’re so much more than a “bus service”. 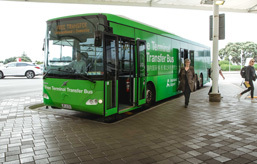 We are Auckland Airport’s only contracted land-side passenger transport operator. Our services operate almost entirely on the one of the busiest roads in New Zealand, so safety is an outright priority. One of our key performance indicators is how smoothly our drivers operate the buses – consistent forward and side scanning of the road is critical. Harsh braking and harsh acceleration have no place in our operation! As our drivers are not required to be responsible for pre-paid journey cards or to handle cash, we can focus on providing first-class customer service. But that’s enough about us, why don’t you try one of our bus services and then you’ll understand why we are so proud of who we are and what we do. 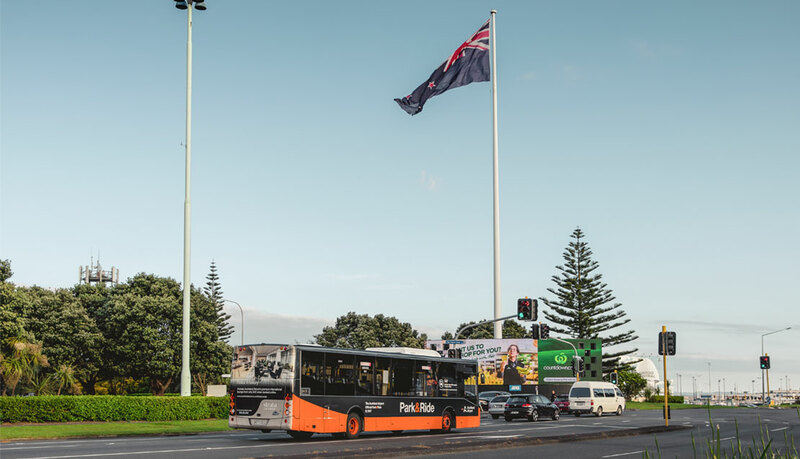 Travel with BusTravel NZ and experience our unique brand of Kiwi service, leading the way for New Zealand passenger transport companies.